Extended living space for expanded living. Designing your outdoor expansion project deserves the attention of a talented design professional. What is a truly brilliant outdoor expansion design? It must be more than beauty. If it isn’t functional, if it doesn’t serve you and the way you enjoy living, it fails. Truly creative aquatic design marries form and function- beauty with usability. The result is a design that reflects your vision, your imaginings and is unique and in the process increases the value of your home. Let us build your outdoor environment that makes you proud to own and share with others. Intelligent outdoor design combines sensitive with sensible. Our design burst with creativity, are grounded in functionality and adhere to your budget considerations. To get there, we ask a lot of questions- more than you might expect and about things you might not have considered. It’s all part of the process and why so much goes into the planning and designing phases. Before a single shovel of earth is moved, we get to know you and you, us. This way, when the final phase of implementing begins, there are no surprises! 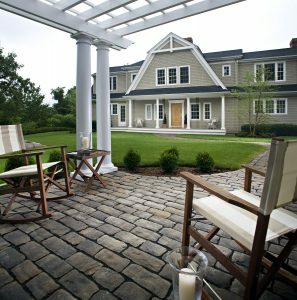 IVY STUDIO LLC is a landscape design firm based in MA that specializes in outdoor design and build. Contact us at 781-591-0300 or vern@ivystudioMA.com to schedule a no obligation consultation before you start your outdoor expansion project.